Some amaranth species are cultivated as leaf vegetables, pseudocereals, and ornamental plants. 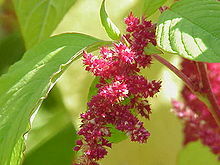 Most of the Amaranthus species are summer annual weeds and are commonly referred to as pigweed. 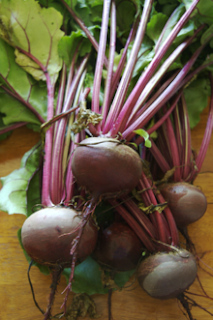 It is one of several of the cultivated varieties of Beta vulgaris grown for their edible taproots and their leaves (called beet greens). Pak choi or pok choi is a type of Chinese cabbage. Chinensis varieties do not form heads and have smooth, dark green leaf blades instead, forming a cluster reminiscent of mustard greens or celery. Chinensis varieties are popular in southern China and Southeast Asia. Being winter-hardy, they are increasingly grown in Northern Europe. The Brussels sprout is a member of the Gemmifera Group of cabbages, grown for its edible buds. The leafy green vegetables are typically 2.5–4.0 cm (1.0–1.6 in) in diameter and look like miniature cabbages. Cabbage or headed cabbage is a leafy green, red (purple), or white biennial plant grown as an annual vegetable crop for its dense-leaved heads. It is descended from the wild cabbage Cabbage is high in nutritional value. 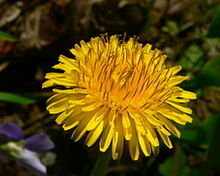 Hypochaeris radicata, also known as catsear, flatweed, cat's-ear, hairy cat's ear or false dandelion, is a perennial, low-lying edible herb often found in lawns. The plant is native to Europe but has also been introduced to the Americas, Japan, Australia and New Zealand where it can be an invasive weed. 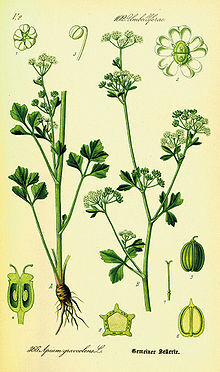 Is a marshland plant in the family Apiaceae that has been cultivated as a vegetable since antiquity. Celery has a long fibrous stalk tapering into leaves. Depending on location and cultivar, either its stalks, leaves, or hypocotyl are eaten and used in cooking. Celery seed is also used as a spice and its extracts have been used in herbal medicine. Also called stem lettuce, celery lettuce, asparagus lettuce, or Chinese lettuce, is a cultivar of lettuce grown primarily for its thick stem or its leaves. It is used as a vegetable and is especially popular in both mainland China and Taiwan. Cnidoscolus aconitifolius, commonly known as chaya or tree spinach, is a large, fast-growing leafy perennial shrub that is believed to have originated in the Yucatán Peninsula of Mexico. It has succulent stems which exude a milky sap when cut. It can grow to be 6 meters tall but is usually pruned to about 2 m for easier leaf harvest. It is a popular leaf vegetable in Mexican and Central American cuisines, similar to spinach. The leaves should be cooked before being eaten, as the raw leaves contain a high content of toxic hydrocyanic acid. Up to 5 raw leaves can be eaten a day. To be safely eaten, the required cooking time is 5–15 minutes. Some species, including Stellaria media which is widely distributed throughout the northern hemisphere, are used as leaf vegetables, often raw in salads. This is a favored food of finches and many other seed-eating birds. Common chicory, Cichorium intybus, is a somewhat woody, perennial herbaceous plant of the dandelion family Asteraceae, usually with bright blue flowers, rarely white or pink. Many varieties are cultivated for salad leaves, chicons, or roots, which are baked, ground, and used as a coffee substitute and food additive. In the 21st century, inulin, an extract from chicory root, has been used in food manufacturing as a sweetener and source of dietary fiber. Malva verticillata, also known as the Chinese mallow or cluster mallow. M. verticillata is an annual or biennial that grow up to 1.7 meters in high and can inhabit woodland areas of different soil types. In temperate climates, it flowers from July to September and the seeds from August to October. 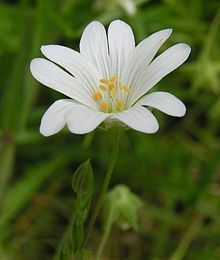 The flowers of the plant are self-fertile but can also be pollinated by insects. The plant was an important leaf vegetable in pre-Han China and widely cultivated. Chrysanthemum coronarium is a species of flowering plant in the daisy family. It is native to the Mediterranean region. It is also cultivated and naturalized in East Asia and in scattered locations in North America. Glebionis coronaria is used as a leaf vegetable. English language common names include garland chrysanthemum, chrysanthemum greens, edible chrysanthemum, crown daisy chrysanthemum, chop suey green, crown daisy, and Japanese-green. Describes certain loose-leafed cultivars of Brassica oleracea, the same species as many common vegetables, including cabbage and broccoli. 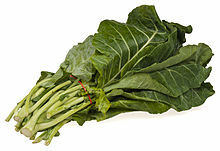 Collard greens are part of the Acephala Group of the species, which includes kale and spring greens. The plant is commercially cultivated for its thick, slightly bitter, edible leaves. They are available year-round, but are tastier and more nutritious in the cold months, after the first frost. For best texture, the leaves are picked before they reach their maximum size, at which stage they are thicker and are cooked differently from the new leaves. Valerianella locusta is a small annual plant that is eaten as a leaf vegetable. It has a characteristic nutty flavor, dark green color, and soft texture, and is popularly served as salad greens. Common names include corn salad, common corn salad, lamb's lettuce, nut lettuce, and field salad. It is typically served as a salad with chopped hard-boiled eggs and crumbled bacon. 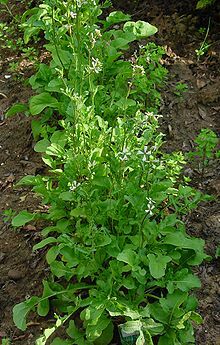 Cress (Lepidium sativum), sometimes referred to as garden cress to distinguish it from similar plants also referred to as cress is a rather fast-growing, edible herb. Garden cress is genetically related to watercress and mustard, sharing their peppery, tangy flavor and aroma. In some regions, garden cress is known as mustard and cress, garden pepper cress, pepperwort, pepper grass, or poor man's pepper. Taraxacum is a large genus of flowering plants in the family Asteraceae, which consists of species commonly known as dandelions. They are native to Eurasia and North America, but the two commonplace species worldwide, T. officinale and T. erythrospermum, were introduced from Europe and now propagate as wildflowers. Both species are edible in their entirety. Dill is an annual herb in the celery family Apiaceae. Dill is widely grown in Eurasia where its leaves and seeds are used as a herb or spice for flavoring food. Endive is a leaf vegetable belonging to the genus Cichorium, which includes several similar, bitter, leafed vegetables. Species include Cichorium endivia, Cichorium pumilum, and Cichorium intybus. Common chicory includes types such as radicchio, puntarelle, and Belgian endive. 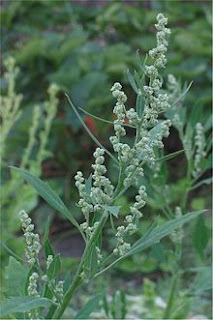 Chenopodium album is a fast-growing weedy annual plant in the genus Chenopodium. Though cultivated in some regions, the plant is elsewhere considered a weed. Common names include lamb's quarters, melde, goosefoot, manure weed, and fat-hen. 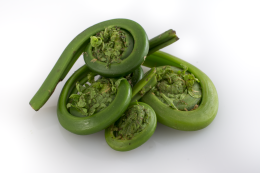 Fiddleheads or Fiddlehead greens are the furled fronds of a young fern, harvested for use as a vegetable. As fiddleheads are harvested early in the season before the frond has opened and reached its full height, they are cut fairly close to the ground.